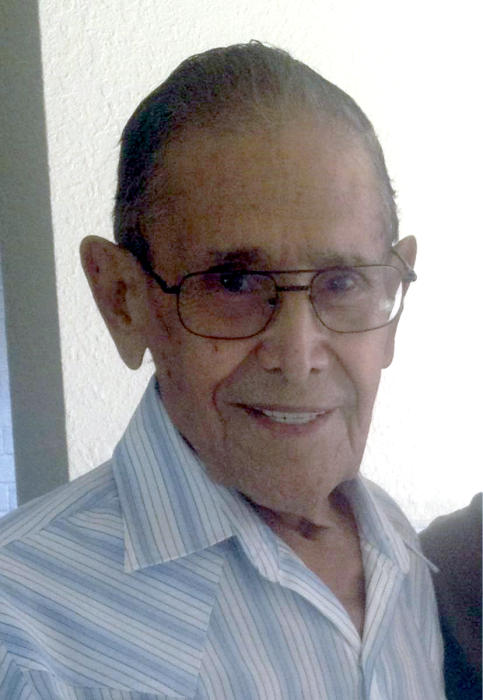 Pedro Caraveo, 89, passed away early Thursday morning, September 13, 2018 at home in San Benito, surrounded by family. He was born in San Benito, Texas to Fernando & Andrea Caraveo on April 29, 1929. Mr. Caraveo was a deeply devout man of faith who loved his Lord and Savior Christ Jesus. He treasured the love he had for all his family. Pedro also had a love for reading, fishing, and talking about the Bible. Mr. Caraveo was preceded in death by his parents, daughter Maria Elena Caraveo; his siblings, Agueda Caraveo Alviar, Fernando Caraveo, Ignacio Caraveo, Juana Caraveo Barrera, Manuel Caraveo, Maria Caraveo Gonzales, Herminia Caraveo Cortez, Andres Caraveo, Jose Caraveo, Jose “Pepe” Caraveo, Frank Amador, Claudio Amador and Manuel Amador. Left to cherish his memory are his wife, Maria Alvarado Caraveo; his children, Daniel Caraveo, Rene (Fabiola) Caraveo, Emma (Roderick) Welker, Reynaldo Caraveo, Sylvia Caraveo, Pedro Caraveo, Jr., Maria Alicia (Efrain) Cadengo, Noe Caraveo, Israel (Jamie) Caraveo; numerous grandchildren and great-grandchildren.